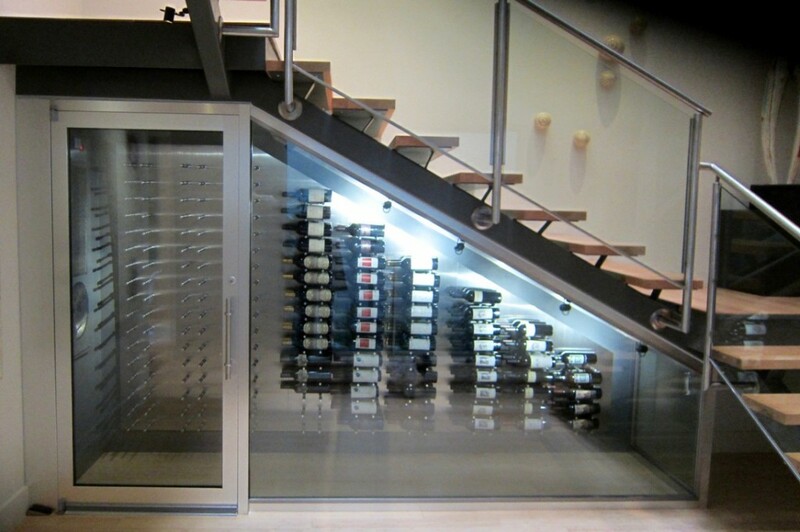 For wine lovers who are living in a small home or condo, there is another option for a full-sized wine cellar. 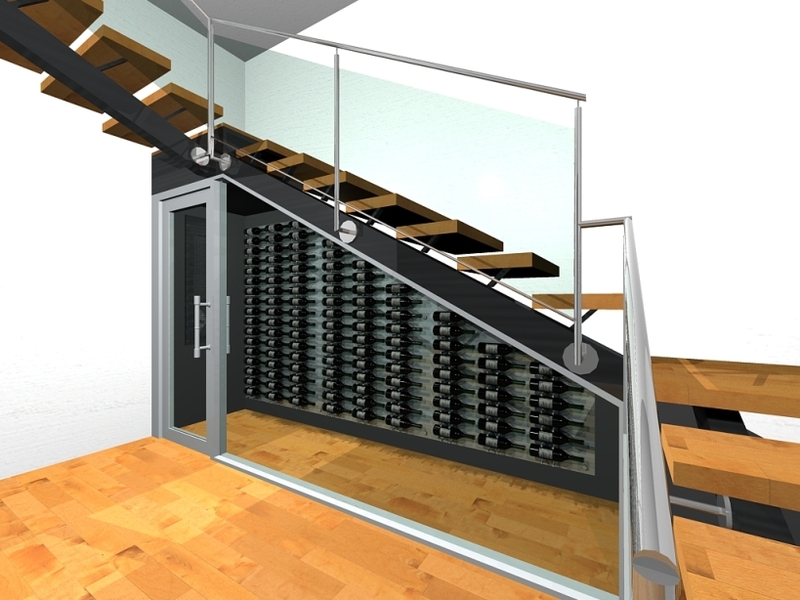 In Dallas, Texas, a client of Wine Cellar Specialists wanted to build a custom wine display area under their staircase. 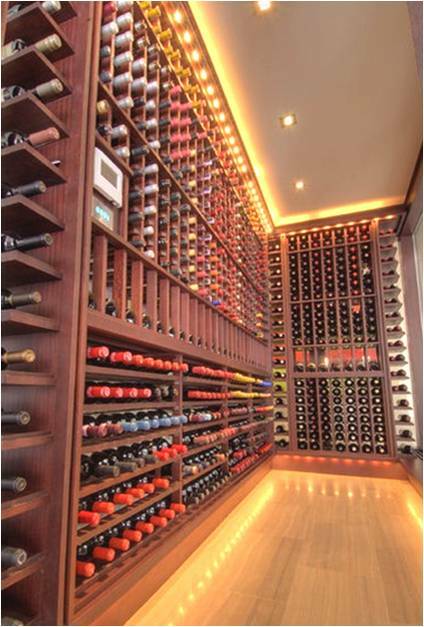 See images and learn more about the features of the wine room. Size does not matter when it comes to building the wine cellar of your dreams. Nowadays, a garage, walk-in closet, space under the stairs, or any extra space in your home can be utilized for your wine room project. Wine Cellar Specialists is one of our dealers in wine cellar construction. They have been in the industry for many years, offering innovative wine storage solutions to clients in Dallas and San Antonio. They want their customers to have a wine cellar that is safe, unique, and matches their home. Recently, a wine enthusiast, who lives in a condo in the Dallas area, wanted to build a wine storage area under the stairs. They sought the help of Wine Cellar Specialists for this project. The stairs have bamboo steps with steel beams. The space in between each step was open. 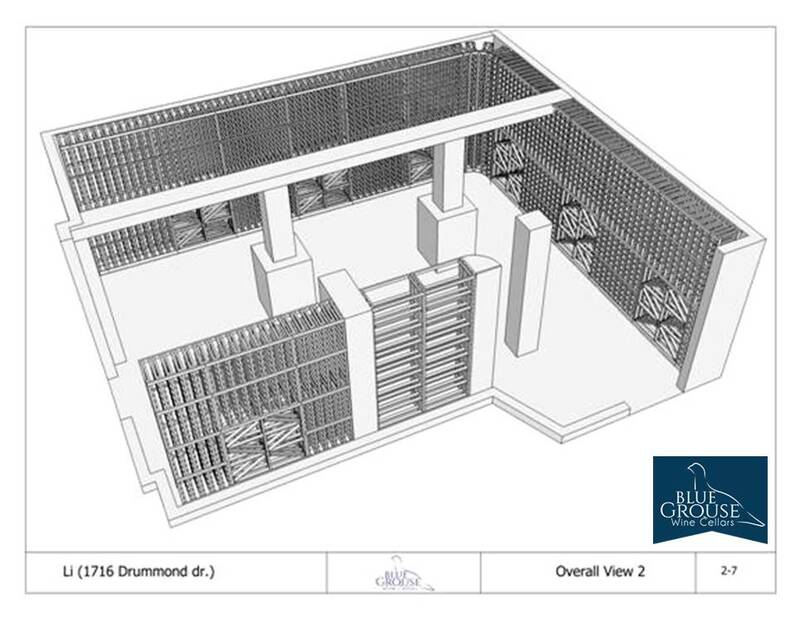 The main purpose of creating 3-dimensional drawings before the construction is to allow for a better visualization of the finished wine cellar. At Wine Cellar Specialists, they assess all the needs and requirements of the owner, so that they can create a perfect design. The free drawings are usually in black and white, and show the plan views, bottle capacities, and the room’s dimension. In some cases, they may need to create colored drawings for a small fee. On this under the stairs wine cellar installation project, they decided to provide colored drawings, in addition to the black and white images. This helped Wine Cellar Specialists in providing the client clearer options for the backer boards and wall colors. They chose the gray walls, brushed aluminum pegs, and Alumasteel backer boards to match the steel beams of their staircase. 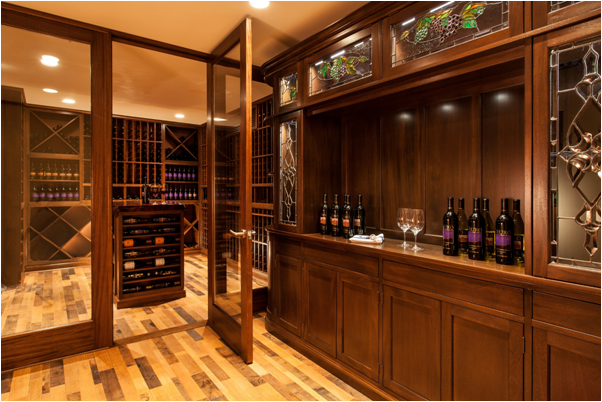 The creativity and passion of Wine Cellar Specialists inspired them to design and install a custom wine room for a high-end residential space. Regardless of space constraints, they always find a way to build a stellar custom wine display for their clients. They want every wine rack system to provide the maximum bottle capacity. For this project, the original plan was to install single-deep wine racks. Later on, the client decided to have a double-deep racking system. This would maximize the space of the room, allowing for more bottle storage. Building a contemporary wine cellar in a tiny space has been in demand in the United States, and even more so in Texas. 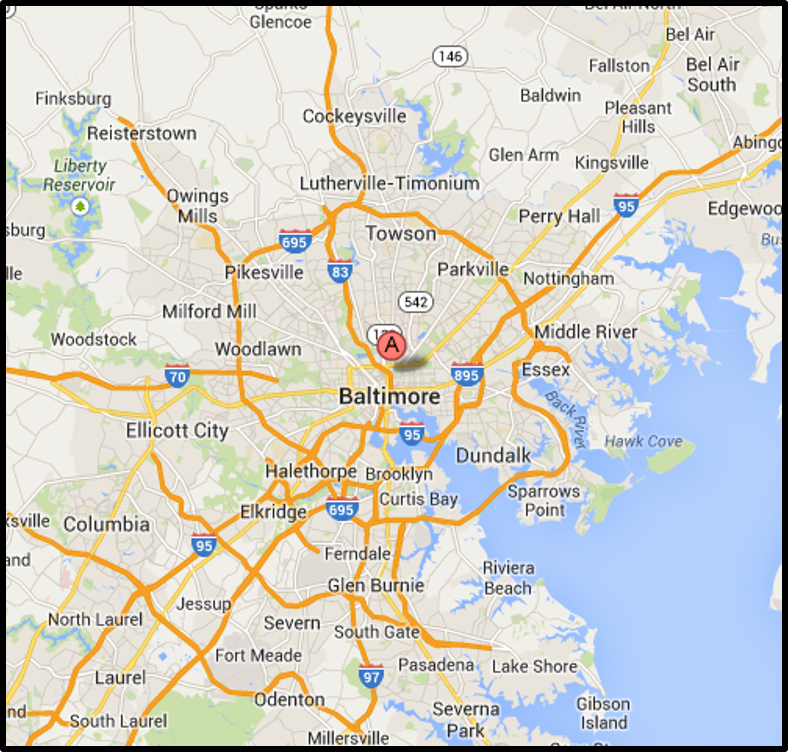 The size and location of your room does not matter if you work with a trusted master builder. Wine Cellar Specialists has been providing contemporary wine rack solutions using metal wine racks. This type of wine rack offers many benefits, both for residential and commercial applications. Metal wine racks are very flexible. They can match any existing décor of your living space. They can also fit snugly in a tiny corner of a tiny space. They can be designed to create visually appealing custom wine displays. The design options are limitless. 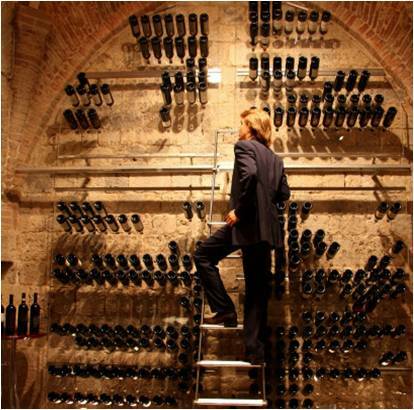 At Wine Cellar Specialists, they offer stand-alone and wall mounted metal wine racks. 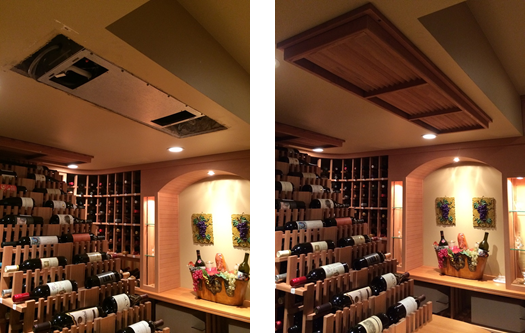 For this wine cellar project, they installed the wall mounted Ultra Peg system. The Ultra Peg System is a high-end wine storage solution that is made of durable and lightweight pegs. It displays and stores the bottles horizontally. The main advantage of this bottle orientation is the convenience in finding a specific bottle of wine. 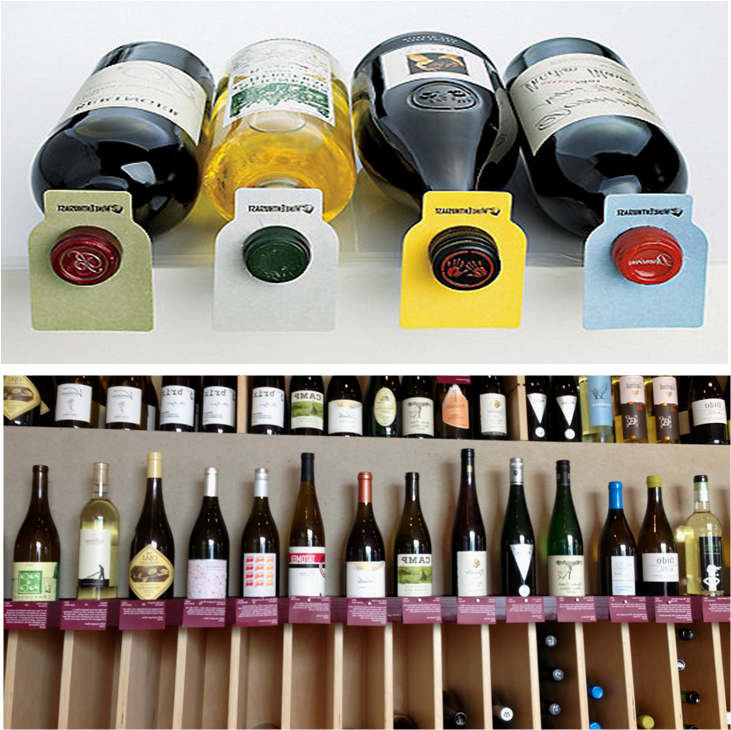 Since the wine labels are facing out, the owner can see the brand name, type, variety, alcohol content, and net contents. There is no need to pull out the bottle from the wine rack or flip it to see this information. 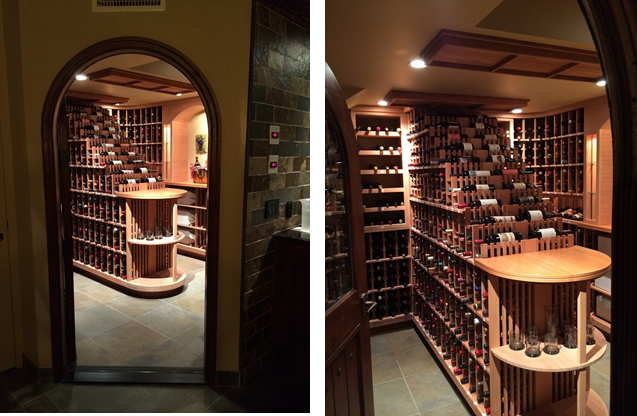 The Ultra Peg system used for this custom wine cellar installed in Dallas has rubber O-rings. These protect the client’s bottles from slipping out. Other types of metal wine racks don’t have this kind of safety feature. 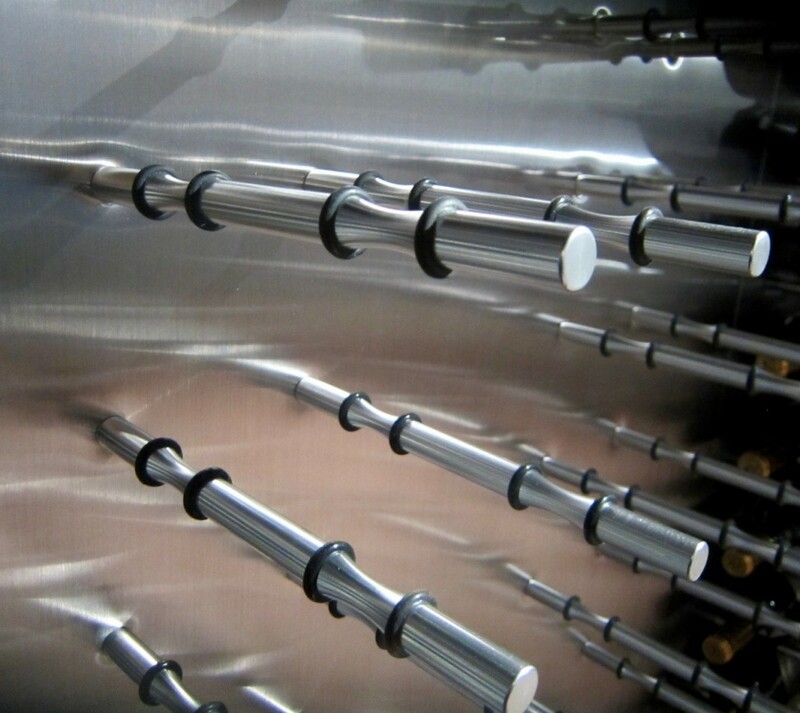 Another advantage of this racking system is its ease of installation. The backer boards were already pre-drilled before the assembly and installation of the Ultra Peg racking on the construction site. Wine deteriorates easily if it is stored in poor conditions. It can age properly in an environment where the temperature is between 55 to 65 degrees Fahrenheit and humidity levels from 60-70 percent. This condition can be achieved if a reliable cooling system is installed in your residential wine cellar. If you don’t know what type, size, and brand of refrigeration system is suitable for your needs, an expert can help you. Challenges in installing the wine cooling system did not hinder Wine Cellar Specialists from building a safe storage space for the client’s collection. On this project, they needed to find a way to prevent cutting or patching up the ceiling of the space under the stairs. 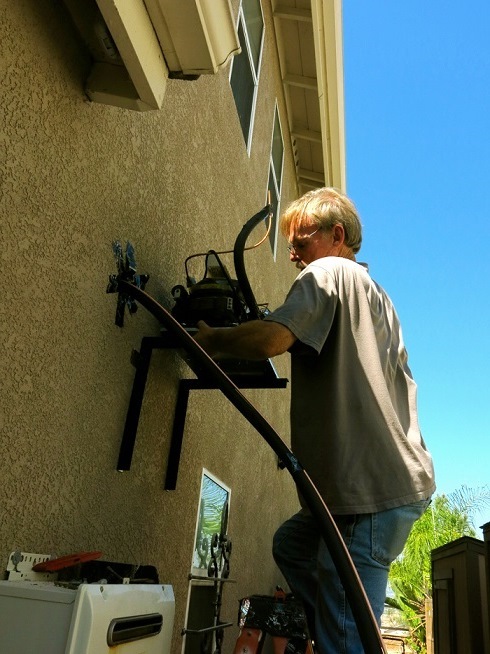 They decided to create a soffit on the lower level, which allowed them to run the lines across and out to the owner’s courtyard for the compressor. The wine cooling unit was placed vertically between the studs of the left wall. Before adding 3 inches of foam, they built out the wall first. 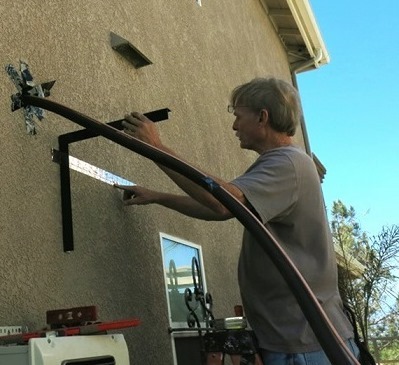 The drain line had an irregular height. This posed another challenge for Wine Cellar Specialists. Installing a condensate pump within the cooling unit solved the problem. 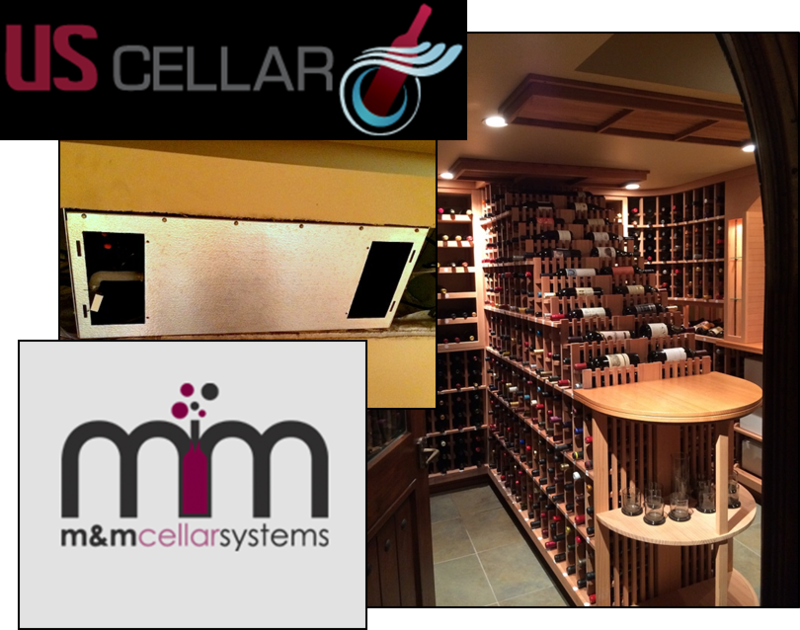 For this wine cellar, the wine refrigeration unit used was the WM6600 manufactured by US Cellar Systems. This large size single wall mount unit is a perfect option for small wine rooms that are enclosed in glass. The unit was powder coated to match the steel beams of the stairs and the wall paint as well. Do you have a small space in your Dallas home that you want to turn into a wine storage space? 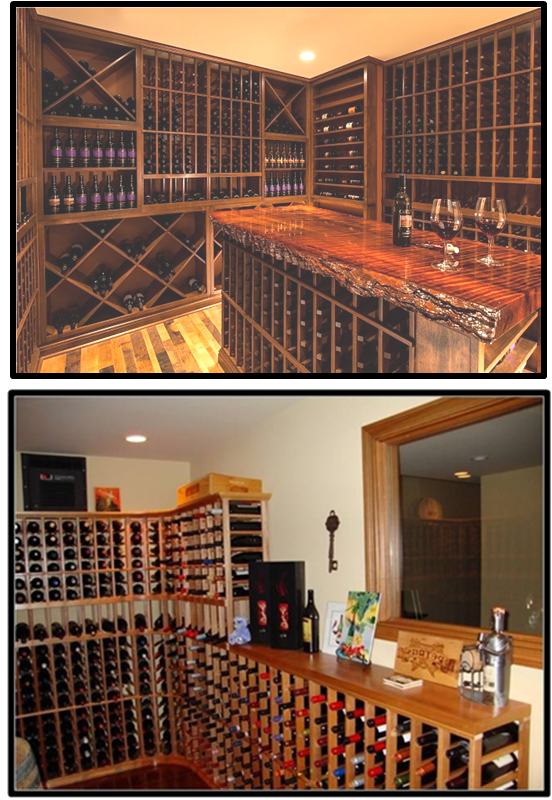 Call Wine Cellar Specialists today at +1 (866) 646-7089 or request a unique design for free! Whole Cellar has been enjoying one heck of a 2015, and it’s with good reason: we’ve recently been awarded Best in Design Best in Customer Service by Houzz this year! Winning one award is an achievement in itself, but winning two? Well, we must be doing something right if we’re included in two categories in the Best of Houzz 2015 list! So, how deserving do you think we are of those awards? Well, you be the judge below! Out of the many projects that we have posted on our Houzz profile, one of those which grabbed the Houzz community’s attention is our Cape Cod project in Boston. This particular wine cellar houses almost 1800 wine and champagne bottles—some of which are stored in high-reveal display cases—while also allotting enough space in the center table where people can come in to taste wine at a leisurely pace. The Cape Cod job, in essence, perfectly exemplifies the modern Whole Cellar design philosophy: we still maintain a sharp eye for aesthetics, but we never sacrifice functionality for it. This is why we have obtained the positive reputation we have, not just on Houzz, but on just about any state we have worked in. Our stellar work ethic had also encouraged new clients to contact us simply because of our reputation on Houzz. Many of them, however, did not have an inkling of how they would be able to have a wine cellar built in the first place. 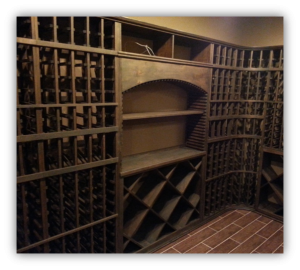 Thankfully, we were more than happy to assist any new clients who simply wanted to have a wine cellar installed in their homes. This is the reason why we also won Houzz’s Best in Customer Service award. Customer feedback, more than anything else, determines the success or failure of a business nowadays. That is why we make it a point that providing an optimal customer experience is a major factor that defines Whole Cellar as a brand. Many of the clients we have worked with, in fact, do not lead the kind of “affluent” lifestyle many people associate with clients contracting us for their wine cellar projects. Rather, a good number of them are middle-class homeowners just wanting to have their own wine cellar that adds value to their property while still remaining affordable. In this case, this is where a project like a closet-to-wine storage conversion in Texas demonstrates the kind of attention we give to our clients. Since the space afforded to us was limited to the confines of a closet, we had to find a way to work within the boundaries of the room given to us. Happily, the client found the finished product suited his preferences exactly. Gone are the days when building a wine cellar for one’s home was defined by an impossibly high barrier to entry. Nowadays, residential wine rooms are seen as much a part of the household as the bedroom or the dining room. The modern wine cellar now has the capability of serving multiple purposes other than simply being a room to store one’s wine collection. We can now say that wine cellars are truly made for everyone. For everyone who has helped us attain the recognition from Houzz by voting us in for these prestigious categories, thank you very much from the bottom of our hearts. We hope to match, or even exceed, the high expectations of quality you expect from a product or service produced by Whole Cellar. To view our complete profile on Houzz, you can visit our profile page here. To see the complete list of Houzz’s ‘Best Of’ winners, visit this link. Call us at +1 (949) 355-4376 to speak with one of our design consultants and get a one-of-a-kind 3D wine room design for free. Most wine collectors may have experienced a difficult time finding a specific vintage from their residential wine cellar. If you are looking through each row of your wine racks, and pulling out every bottle to check the labels every time you search for a specific wine, you have an unorganized home wine cellar. Don’t let your guests wait for a long time while you’re finding a particular vintage. Using the most suitable organization and tracking system for your collection will help you find a specific bottle in your wine racks easily and conveniently. You want to avoid opening an expensive bottle of wine that is too early to drink or has aged longer than it should have. Drinking wine that has not matured properly will not let you enjoy its desirable flavors and aroma to the fullest extent. The right wine cellar management software will help you achieve this. Some wine collectors may not see the need for a wine cellar management software until their collection is really out of hand. Why wait for the time when you get stuck searching through the mess, when you want to drink or serve to your guests? If you have plans of growing your collection in the future, it is recommended that you invest in an inventory system that will save you from that tedious task. The eSommelier wine inventory system, not only allows you to keep track of the wines you have, where you bought them, their price, vintage or producer; it also allows you to keep track of the wine’s maturation period. Wine Cellar Specialists, an experienced wine cellar designer and builder in Texas, offers the eSommelier private cellar management system. Their aim is for their clients to manage their collection effectively in a simple way. The eSommelier wine management system is designed and engineered by Media Access Solutions. It is perfect for wine collectors who have large collections of unusual or rare vintages, and those who want to ensure that wine is consumed at its peak. 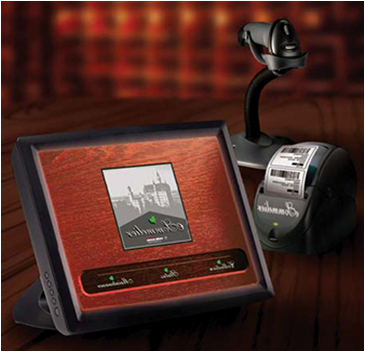 The eSommelier wine inventory system has 3 components – the touch screen terminal, wine barcode printer, and bar code scanner. The touch screen monitor is 12½” high, 15½” wide and 2″ deep. It only takes take 2 minutes to enter new information for of a wine bottle. After entering the necessary information into the system, a customized barcode is printed. This unique barcode is affixed to the bottle. 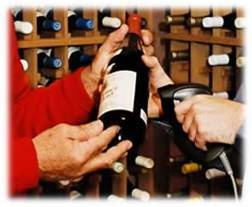 The barcode scanner allows easy removal of bottles from your home wine cellar. When you grab a bottle of wine from the wine rack, simply run it under the bar code scanner, and that particular wine will be erased from your inventory. You can opt to enter your own tasting notes and score after you mark a bottle as consumed. Very simple! Software installation can be done in minutes after you receive the kit. You will need a wired or wireless Internet connection to be able to install the software. 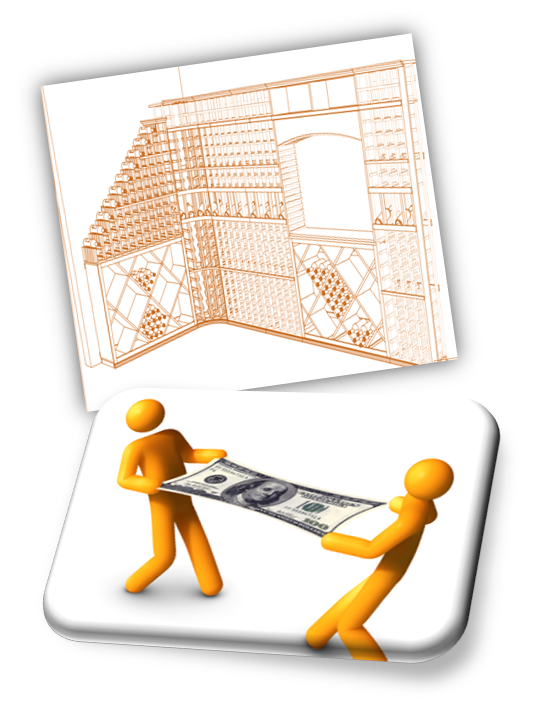 Investing in a wine inventory system may not be possible for some because of budget constraints. If budget is a problem, you can still organize your wine cellar by using a logical organization system. 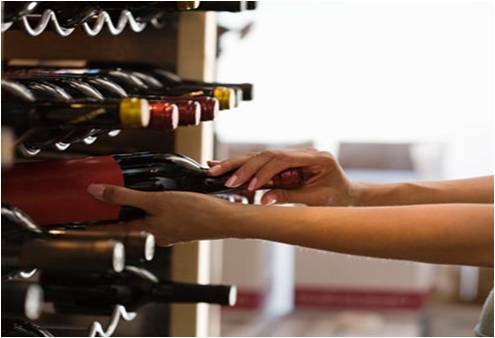 When budget hinders you from purchasing wine cellar management software, you can create your own organization system such as arranging bottles by region, brand, varietal or price. With dedication and consistency, a system can also help you have easy access to the right wines without having to spend more. If you love to collect wines from different parts of the world, group those that are produced from the same region in one section of your wine racks. The region from where the wine came from has a big influence on the wine’s taste because of the variation in soils and climate. For many wine enthusiasts, the region of origin matters a lot when deciding which wine to pair with a certain dish. Another way to organize your Texas home wine cellar is storing your wines by brand. This is most useful if you buy wine in bulk. 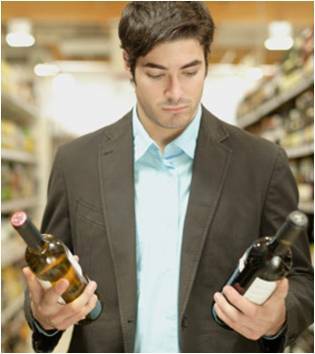 After categorizing your wines by brand, you can break down each brand by vintage, varietal, region and price. Separating the red and white wines in wine racks is common for collectors who want to find the perfect vintage to pair with their meal. Others choose to arrange their collection by grape varietal. This way, Chardonnays, Shirazes, Cabernets and other varieties are grouped separately. 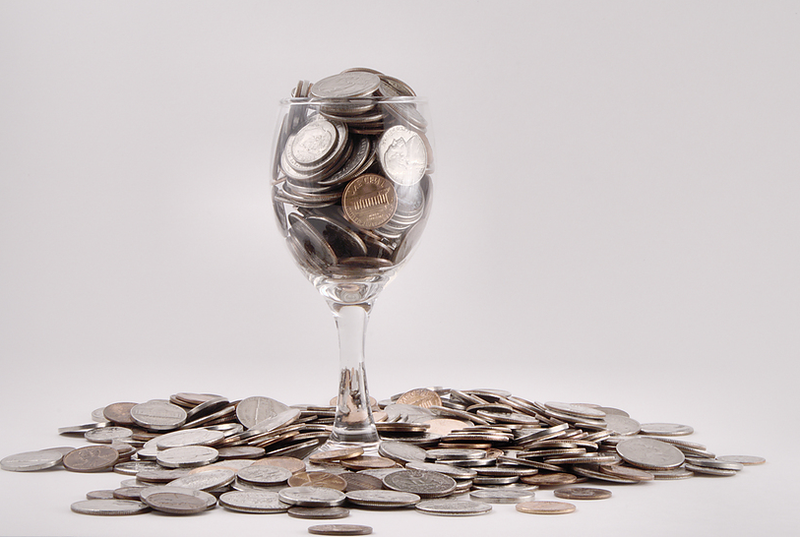 Less expensive wines are usually meant to be consumed earlier than more expensive ones. By storing vintages with similar price range, you will know which wines are meant for short term storage, and which ones require longer aging periods. If you think the two wine cellar organization options mentioned above won’t work for you, there are other simple ways to organize your wine cellar. You can place the youngest wines at the top of your wine racks, and the older wines at the bottom. You may also choose a section in your storage racks for wines that you drink everyday. Make sure to place them separately from wines that are expensive and meant for long-term storage. Everyday wines should be stored in accessible areas, such as in an eye-level section of your wine racking, or near your wine cellar door, while those that require aging can be stored higher. When storing wines in double-deep wine racks, the same bottles should be stacked at the front and back. This way, you won’t need to pull the bottle at the front to know what’s next to it. For wine collectors who live in earthquake-prone areas, it is best to place expensive wines on the bottom section of your wine racks to prevent the impact that would result from a high fall off the rack. If you’re like most of us, without oodles of time, go for eSommelier’s wine cellar management system to ensure effective inventory of your collection and ease of access to your wines. For more information on this product, call Wine Cellar Specialists today at 866-646-7089. Don’t have a Texas home wine cellar yet? 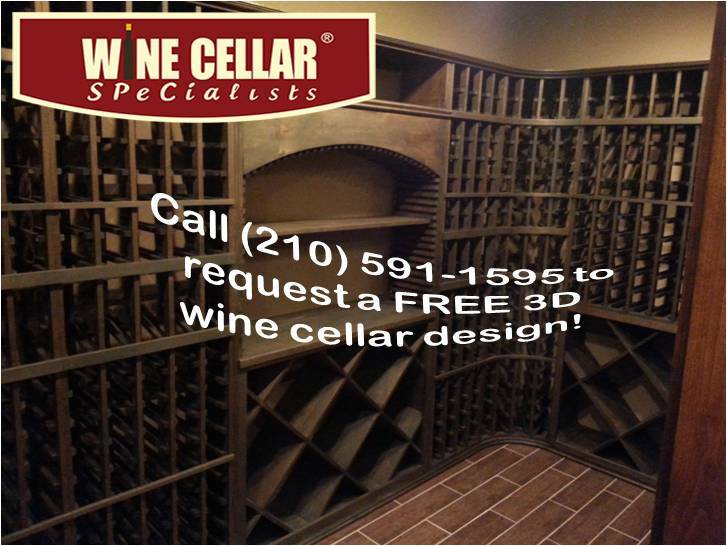 Request a FREE 3D custom wine cellar design now! Before buying a new variety of wine to add to your collection, it makes sense to know its characteristics. The main reason you are collecting wine is to consume it after it reaches maturation, thus it is important to have a good bottle in your residential wine cellar. Knowing something about the history of wine also makes sense. It can be the topic of conversation during wine tasting parties with your friends. Let’s talk about California wine’s history and a specific wine variety that deserves to have a place in your California home wine cellar. California has been very important in the United States’ wine industry. Considered the world’s 4th largest wine producing region, California produces almost 250 million cases of wine annually. Nearly 20% of the production is exported. In 1683, the first planting of a vineyard recorded was by Eusebio Francisco Kino, a Jesuit Missionary. The vineyard, which was located at San Bruno was never harvested. Franciscan missionaries planted the first sustained vineyard of California at Mission San Diego. The missionaries were directed by Father Junípero Serra, who has been known as the “Father of California Wine”. The grape variety he planted became what they call the Mission grape. This variety dominated the wine production in California until about 1880. Today, there are more than 100 different grape varieties cultivated in California and around 3, 500 wineries. One of the leading varietals is Chardonnay, which can adapt well to different climates and soil types, resulting in a wide range of styles. Chardonnay is popularly known as the “queen of whites” and has become the generic white wine in America. California Chardonnays are categorized based on the region where the grapes are grown such as Napa Valley, North Coast, Carneros and many sub-regions. Different vintners produce different styles within the region. Old styles of Chardonnay are characterized by vanilla and buttery flavors imparted by aging in oak barrels. Today, many wine companies in California produce Chardonnay wines that exhibit citrus and green apple flavors. Creamy, buttery and fruity Chardonnays are now rare. Chardonnay’s complexity and distinct taste make it a great choice for casual or fine dining. 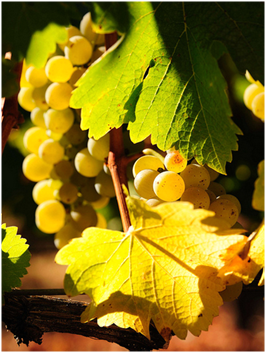 Just like other wines, Chardonnay develops its complex nuances and rich flavors when aged. It is common for wine collectors in the United States to have California Chardonnay stored in their home wine cellars. Not only is it great tasting, but it can easily be paired with various dishes too. If you want to drink a California Chardonnay, pair it with pasta or seafood. If you’re planning to add Chardonnay to the bottles stored in your wine racks, it is a good idea to buy one from a reputable California winery. This will ensure that you have a good bottle added to your collection. The owners of Stony Hill Vineyards are Fred and Eleanor McCrea. They began planting their vineyards with Chardonnay in 1947. Today, their vineyards have 25 acres of Chardonnay, 3 acres of Gewurztraminer, 10 acres of white Riesling and 1 acre of Semillon. Their small winery was completed in 1952. 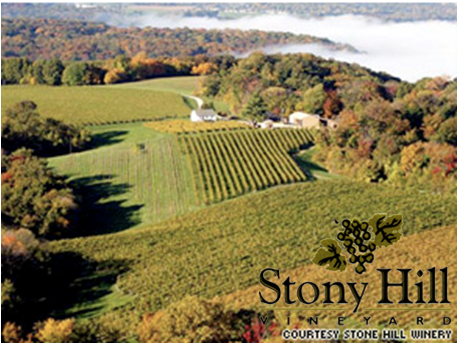 Stony Hill Chardonnay (2011 vintage) has distinctive notes of apple and citrus. Its crisp acidity gives it the ability to develop richness as it matures. It is ideally aged for more than 5 years. It was fermented for 2 weeks in barrels (5 to 25 years old) and aged in old French oak barrels for 10 months. 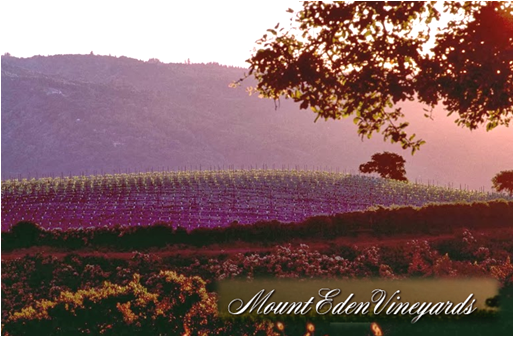 Farming 20 acres of Chardonnay, Mount Eden Vineyards produces 1,200 – 2,000 cases annually. The Estate Chardonnay grapes they harvest are pressed without crushing. 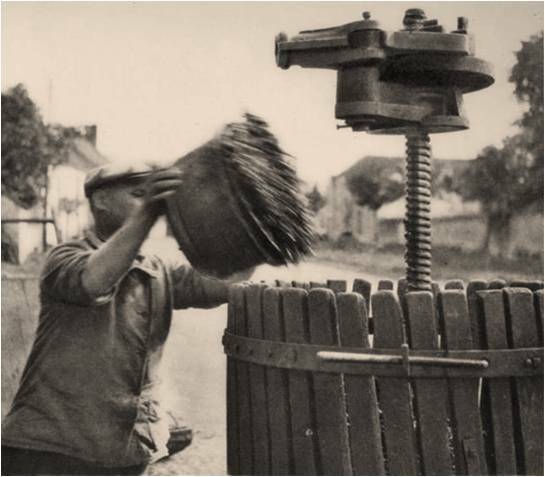 They use 1-year old French oak barrels for fermenting all the fruit juice. They release the wine for sale after 2 years of cellaring. If you are looking for lemon, mineral flavors and hints of hazelnut, Mount Eden Vineyards’ Chardonnay deserves to be stored in your wine cellar. Two to four years of aging is recommended for the wine to release its most desirable characteristics. Many vintages of Mount Eden Estate Chardonnay are enjoyable after 15 years. California Chardonnay, the generic white wine of America, is a great addition to your home wine cellar. When aged well in a stable environment, you and your guests will enjoy its crisp, fruity flavor. Don’t have a wine cellar yet? 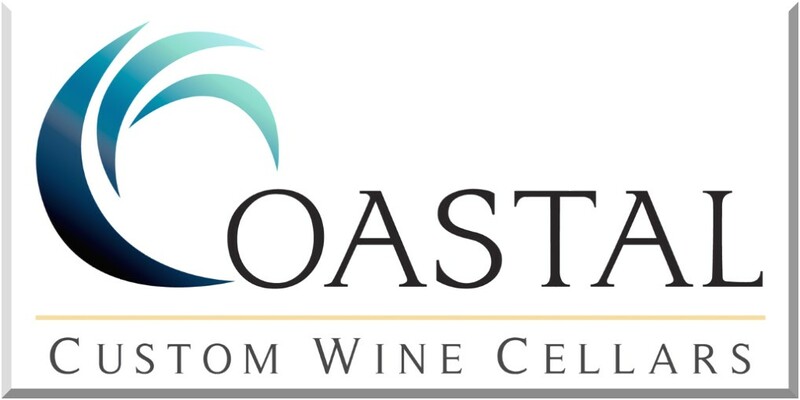 Contact Wine Cellars by Coastal today at (888) 735-8889. Let them design and install a wine room for your California Chardonnay. If your chosen residential wine cellar builder does not go through the planning stage carefully, you could end up with wasted quality wines, time and money. The planning stage in wine cellar construction is very crucial. This is the time when all your concepts, objectives and budget are evaluated to create the most suitable and effective wine cellar. The location, size of the room, materials and the number of bottles you want in your wine room must be assessed. 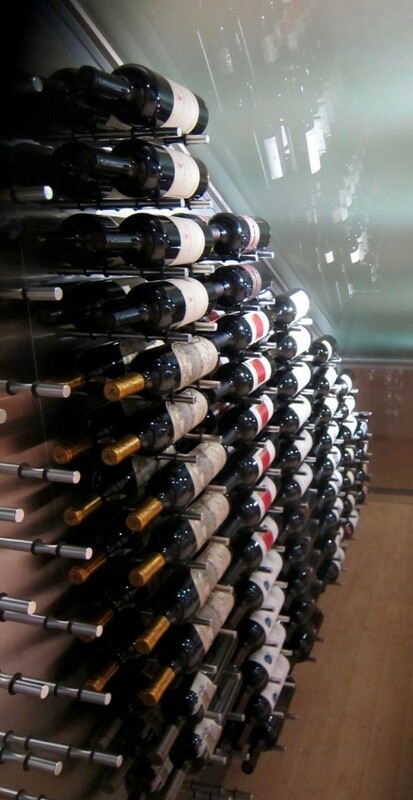 With these considerations, all the necessary components for your wine cellar will be designed and installed properly. Without proper insulation, the right kind of door, a wine cellar cooling system, wine racks and lighting system, you will not enjoy the complex flavor and aromas wine has to offer. All the requirements in wine cellar construction must be discussed and determined at this planning stage so you won’t end up spending more later on correcting or replacing elements of your wine cellar. 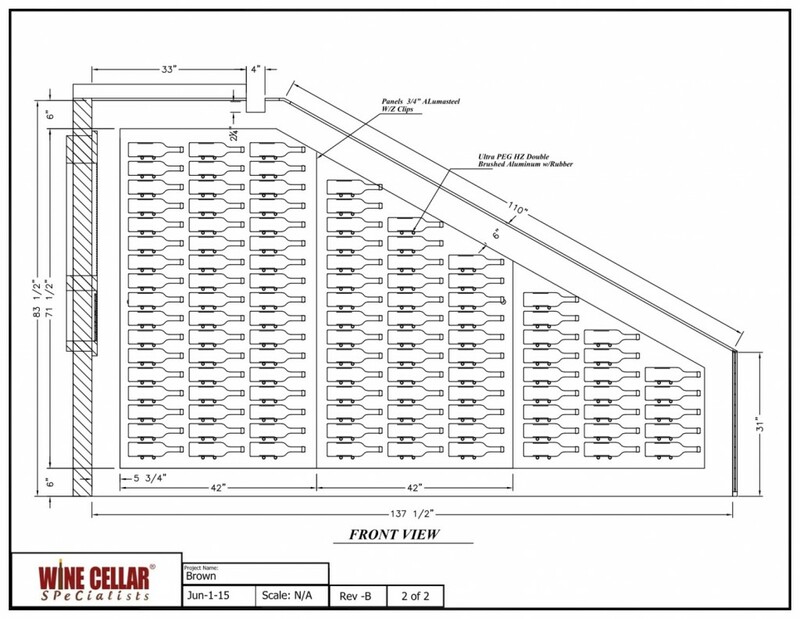 At Coastal Custom Wine Cellars, they take the planning stage very seriously. With their knowledgeable and skillful team, all details are noted and integrated to the wine cellar design. 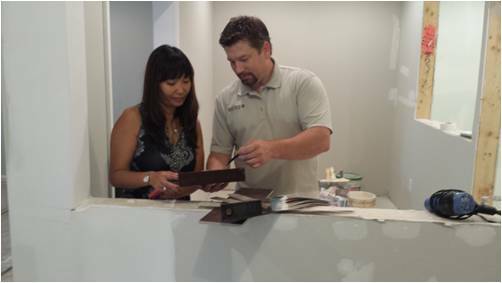 They ensure that the finished product is something that their team and their clients can be proud of. Combining their passion and experience in wine cellar design and installation enables them to create an efficient and impressive wine storage space. One of the common mistakes in wine cellar construction that results in ruined wines and wasted money, is improper insulation and vapor barrier installation for walls and ceilings. Poor wine cellar insulation will not create balance in temperature and humidity needed for wine aging. It will also cause mold growth in your wine cellar and will force the wine cellar refrigeration system to work harder than it needs to, increasing the amount of energy used. Insulating the walls and ceilings of the room is required if a refrigeration unit is to be used. To determine the proper insulation and vapor barrier installation, your wine cellar builder must assess the location, size of your wine room and bottle capacity at the planning stage. 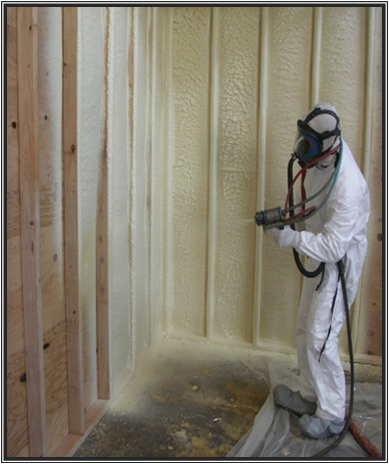 The grade of insulation to be used depends on the thickness of the walls and ceilings. A higher R-value (R means resistance to heat flow) is required for thicker walls and ceilings. Thicker insulation results in better cooling. Cool air from the wine room will leak into the walls without a vapor barrier installed. The vapor barrier helps keep the ideal humidity in the wine cellar and prevent growth of mold and mildew on walls and ceilings due to condensation. To prevent these from happening, walls and ceilings of the room intended for wine cellar conversion must be insulated and installed with a vapor barrier by a knowledgeable wine cellar specialist, such as Coastal. One of the most common reasons for wine cellars to fail to achieve a climate-controlled environment in a wine cellar is the use of a poorly constructed or low quality wine cellar door. A wine cellar builder who lacks knowledge of proper wine storage would have no idea about the role of a wine cellar door in keeping stable conditions in a wine cellar. If the wine cellar installed in your home has a door that has no insulating properties and is of poor quality, your wines could be in danger. The wine cellar door should provide an airtight seal to prevent cool air from escaping out of the refrigerated wine cellar. To achieve this, the right material for the door must be used and sealing aids must be added. As an experienced wine cellar specialist, Coastal’s knowledgeable team never neglects the function of wine cellar doors in wine storage. At the planning phase, they will discuss with you the different wine cellar door options. They will help you determine the right choice of door and make sure that it seals the room to safeguard your collection. Coastal uses only wine cellar doors constructed of superior quality. They use a weather-stripped, 1.75” exterior grade door. Weather stripping ensures that no external elements can get into the wine cellar. In this process, a synthetic rubber material is applied to all four sides of the door jamb. Coastal’s custom wine cellar doors are also equipped with an automatic door bottom to seal the cool air in the wine cellar. 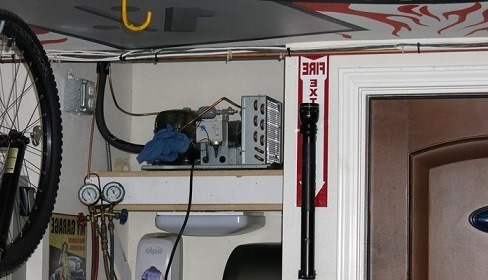 Additionally, this device prevents door dragging that can damage your floor. Modern technology (Laminated Veneer Lumber) and traditional technique (Mortise and Tenon joints) are used by Coastal to ensure strength and appropriate insulating properties for their doors. Installing wine cellar refrigeration equipment without considering your wine storage requirements during the planning stage will harm your wines. 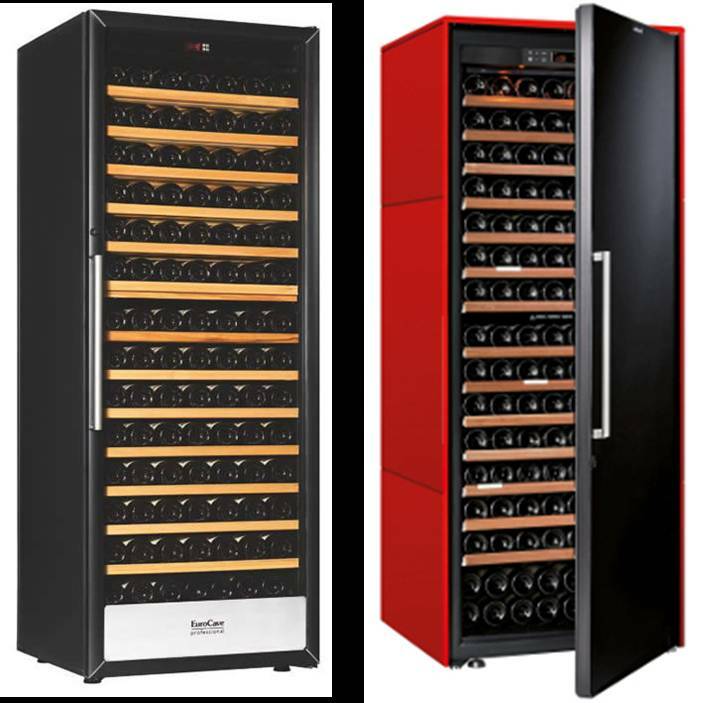 Factors such as size of the room, number of bottles to be stored and location must be taken into account before purchasing and installing a wine cooling unit. You don’t want your home wine cellar to have the wrong type of refrigeration system, not capable of providing optimal cooling to the whole room. Some builders use regular air conditioners in wine rooms. 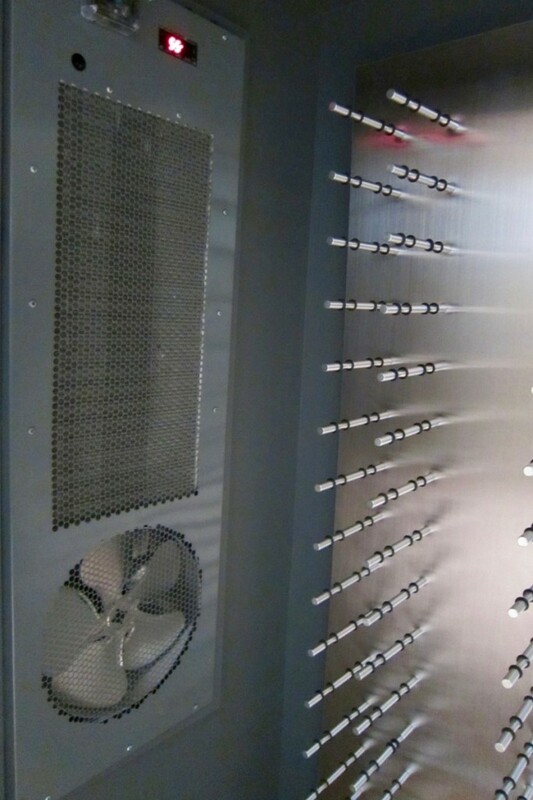 A knowledgeable wine cellar builder would not use this type of cooling unit in wine cellars. Conventional air conditioners used for homes and offices are not designed to keep consistent temperature and humidity levels in wine storage. By seeking help of a wine cellar refrigeration expert such as Coastal, your cooling requirements will be taken into account very carefully. 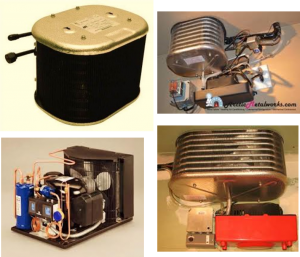 This will ensure that the most suitable wine cooling system will be installed in your wine cellar. 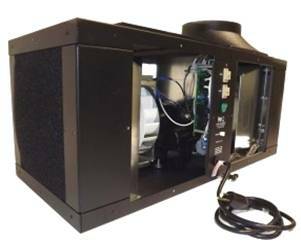 Coastal offers a wide range of commercial grade wine cellar cooling systems that will cool your wine cellar efficiently. There are a lot of wine collectors who spend a lot on great-looking custom wine racks, but later find out that these racks are not durable and don’t suit their wine storage needs. The wine rack designs and materials must be thought of carefully prior to the construction of your wine room. It is a good idea to ask for suggestions from an experienced wine cellar company in determining the right wine racks for your collection. 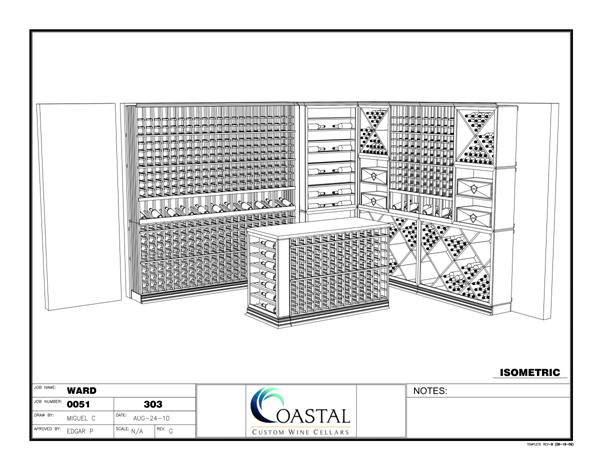 Coastal always makes sure that they provide the best wine racking solutions for their clients. In doing this, they see to it that there is balance in aesthetics, space optimization, convenience and budget. 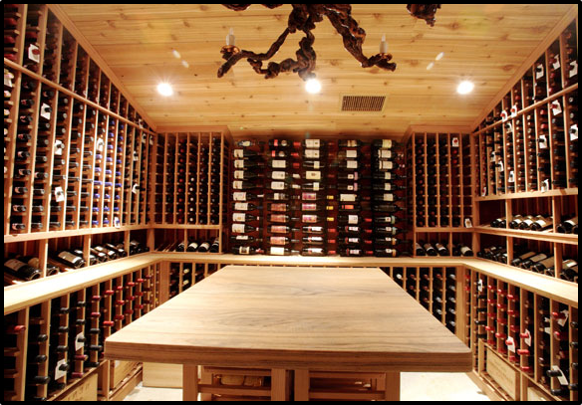 How Important is Wine Cellar Lighting in Wine Storage? Wine cellar lighting is one of the components in wine cellar construction that is often neglected at the planning stage of the project. The wrong choice of lighting can have negative impact on the quality of wine and the ambiance of your wine cellar. Fluorescent lighting which gives off excessive amounts of ultraviolet or UV light should not be used. UV light can ruin wine by degrading its stable organic compounds. The flavor, aroma and structure of wine greatly depend on these organic compounds. Exposure to UV or too much sunlight will result in flat wine. Your lighting should provide ample amount of vision. Make sure that it makes reading of wine labels and moving around the wine room convenient. The different lighting options that you can choose from include track lighting, recessed can lights, wall sconces and chandeliers. The knowledgeable team of designers at Coastal will see to it that the lighting system that best suits your wine cellar and style is considered at the planning stage. Not only that – they would also recommend lighting that will illuminate their clients’ wine cellar dramatically. They recommend LED (Light Emitting Diode) lighting which provides a comforting glow and will keep your wines safe because of its low heat emission. 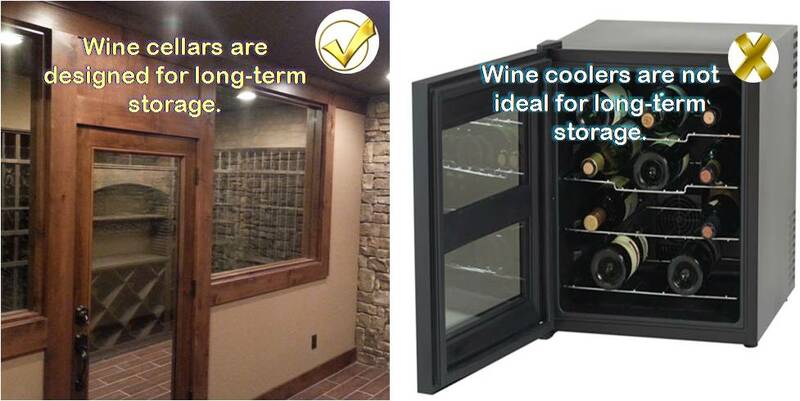 It is also efficient, ideal for long-term use and versatile, making it a favorite option in wine cellar installation. The planning stage gives you the first insights into the knowledge and competence of your wine cellar builder. It’s here that you see how problems are solved and prevented. Safeguard your wines by contacting Coastal, a wine cellar company that provides only quality products and excellent service from the planning stage until the completion of your project. Coastal will give you a free design where you can see first hand how the planning of a proper wine cellar project is to proceed, and it is though this process that you will gain the trust of your future wine cellar builder. 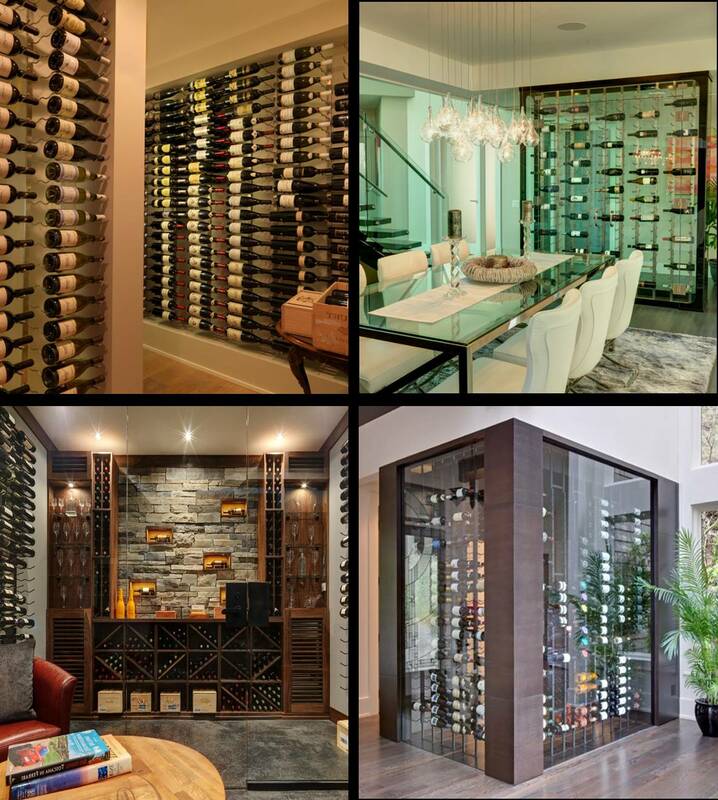 Call them today at +1 (888) 735-8889 and speak with a design specialist about your wine room project and get all your questions answered. Have you opened a bottle of wine from a cabinet in your kitchen or a box under your sink and found out that its smell is not floral, fruity, or spicy? Have you noticed some discoloration? You should know that these are signs that your wine has a defect and may be undrinkable. Let us find out the different possible wine defects and learn the ideal wine storage options that will preserve wine’s quality and desirable characteristics. 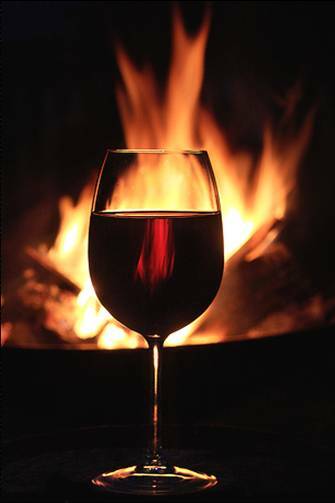 When unwanted air mixes with wine, it is subjected to hot temperatures, or is aged too long, oxidation occurs. The original vibrant fruity scents in wine become lifeless or flat, losing their aroma, flavor, and color. This results in stale, stewed fruit and a burnt marshmallow, sherry, or vinegar-like smell. The moldy smell is caused by the TCA or Trichloroanisole in corked wine due to high level of oxidation. The insipid taste in oxidized wine is caused by the bacteria that oxygen promotes when it gets into the wine. The alcohol in wine turns into acetic acid, causing unpleasant taste. The color of an oxidized wine is usually a shade of brown, while other wines look dull. These are the clues that indicate wine defects. Oxidation can happen prior to or after bottling of wine and even while it is stored at home or in a restaurant. So, next time, you will know when to pour wine down the drain or return it to the restaurant or wine store where you bought it from. The cork of wine bottles functions as a seal to protect wine from being exposed to unwanted oxygen. How can a cork cause wine to spoil? When wine comes in contact with a contaminated cork, it will smell and taste like a wet newspaper, rotten cardboard, or damp cloth, resulting in what they call “corked wine”. A cork is contaminated when 2, 4, or 6-Trichloroanisole (TCA) is present. This chemical compound is usually formed when the natural fungi that reside in cork come into contact with chlorides. Chlorides are found in sanitation products used in the winery, such as bleaches. 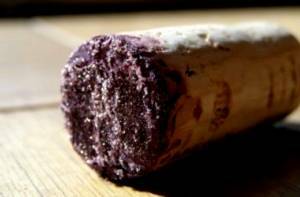 Using infected corks will cause cork taint, a wine defect that destroys the natural aromas and fruitful flavor of wine. Maderization is a process where wine is heated and oxidized to make it taste like Madeira wine that has a nutty and caramelized character. When talking about wine defects, the term “maderized” refers to the condition of wine exposed to too much heat or very high temperatures (greatly higher than 55 degrees Fahrenheit). This usually happens in wines with low alcohol content. There will be greater chances that your wine will become maderized when you keep it near a radiator or any heating device in your house. An under-the-stair space where hot water pipes are installed is also a bad storage place for wine. Too much heat exposure increases the rate of wine’s aging, resulting in spoiled wine. This is why proper wine storage must be practiced to preserve wine the right way. One of the major reasons wine gets spoiled is from storing it in a place where stable temperature and humidity levels are not present. Wine needs to be stored in an environment with temperature ranging from 55-75 degrees Fahrenheit and humidity levels between 50-60 percent. The two most in-demand and efficient wine storage solutions are custom wine cellars and refrigerated wine cabinets. When choosing between a wine cellar and a wine cabinet, consider the size of your collection, your space, and your budget. Nowadays, home owners in many parts of the world, including Canada, who have the right budget, invest in a residential wine cellar to keep their finest wines safe from harmful external factors. Wine cellars are carefully designed and installed to ensure that a climate-controlled environment is provided to your finest wines, especially those intended for long-term aging. 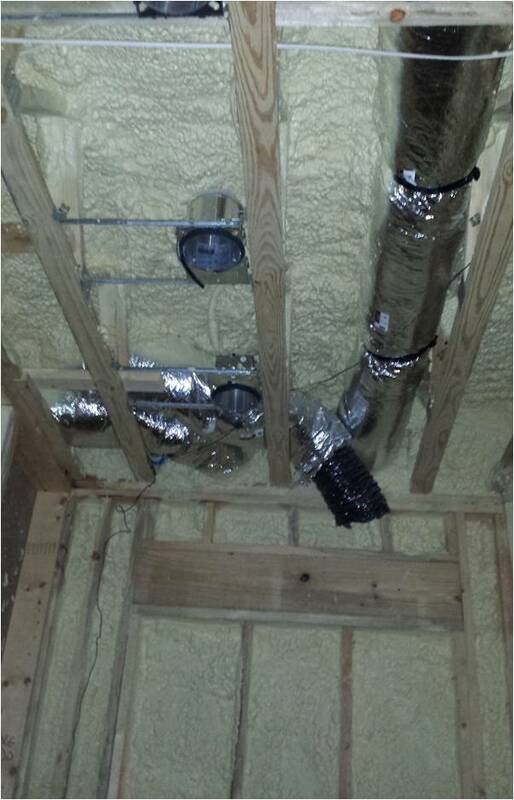 Proper room insulation and installation of a vapor barrier are the primary steps to prepare the room for construction. In Vancouver, Canada, a team of experienced designers and installers, Blue Grouse Wine Cellars, has been building custom wine rooms for many years. With their expertise, any extra room can be converted into a functional resting place for your wines. For them to achieve the ideal temperatures and humidity levels in their client’s wine cellar, they use efficient wine cellar refrigeration systems suitable for the storage needs and requirements of the collector. The right wine cellar door material and seal must also be installed. Other things that must be given consideration are the wine rack material and design and wine cellar lighting. All of these can affect the stability of the conditions inside a refrigerated wine cellar. Building a home wine cellar in Canada may not be affordable to some, but in the long run, you will realize that having one will save you money since it lowers the risk of having a defective wine in you collection. If having a wine cellar in your home is not possible due to budget and/or space constraints, you shouldn’t worry because there is another wine storage option that is more affordable – the wine cabinet. Wine cabinets with a built-in wine cooling system are called refrigerated wine cabinets. Even though it is a budget-savvy option, a refrigerated wine cabinet has the ability to maintain an environment similar to wine cellars. One of the most popular brands of wine cabinets in Canada is Eurocave. Their sturdy, high capacity and stylish products are being used by Blue Grouse Wine Cellars in many of their wine cellar projects. Learn more about Eurocave wine cabinets by clicking here. In addition to sturdiness, style, and capacity, other features that you should look for in a wine cabinet include internal lighting, an alarm system, and vibration exclusion. Keep in mind that wine cabinets only accommodate a certain number of bottles, unlike wine cellars that allow your collection to grow in the future. A collector’s goal is to store his wines in such a way that its desirable characteristics are preserved properly. Storing them in a climate-controlled environment is the key to achieving this. Depending on your needs and budget, make sure that your choice of storage solution can help prevent wine defects. If you need expert advice in choosing the right wine cabinet to suit your needs, call Blue Grouse Wine Cellars at 1.888.400.CORK (2675) or visit their website at http://bluegrousewinecellars.com/.